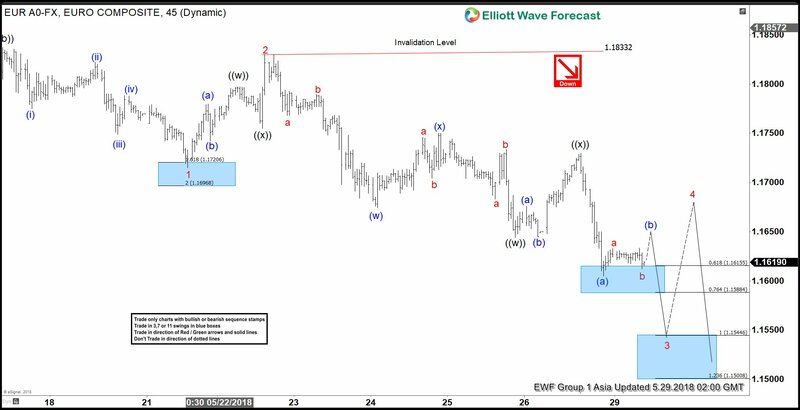 EURUSD short-term Elliott wave view suggests that the decline from ( 1.1996 ) 5/14/2018 peak is unfolding as ending diagonal structure in Intermediate wave (5) lower as mentioned in the previous post here. The internals of each of leg in ending diagonal structure is the combination of a 3 waves corrective structure i.e the internal of wave 1, 2, 3, 4 & 5 unfolds as double three, zigzag etc. 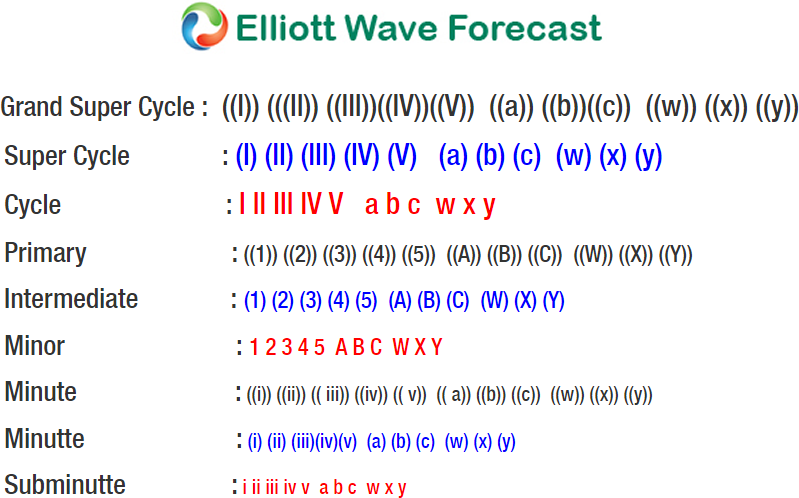 Ending Diagonal usually appears in the sub-division of the wave 5 of impulse or wave C of Zigzag or Flat. Down from 1.1996 high, the decline to 1.1715 low ended Minor wave 1 lower. Then the bounce to 1.183 high ended Minor wave 2 bounce as double three structure. Below from there, Minor wave 3 remains in progress as Elliott wave double three structure where internal Minute wave ((w)) of 3 ended at 1.1644. The bounce to 1.173 at yesterday’s high ended Minute wave ((x)) of 3. Near-term focus remains towards 1.1544-1.1500, which is 100%-123.6% Fibonacci extension area of Minute ((w))-((x)) to end the Minute wave ((y)) of 3. Afterwards, the pair is expected to do a bounce in Minor wave 4 which should then fail below 1.1833 high in 3, 7 or 11 swings for more downside. We don’t like buying it the pair.